Call me promiscuous, but I went to two classes today. The first was a midday Core Flow class at Honest Yoga. It wasn’t love at first sight — South Burlington’s Blue Mall has seen better days. Is it even possible to achieve nirvana in a strip mall? But inside was nicer, and the instructor, Patti, greeted the news that I was a yoga newbie with evangelical enthusiasm. The studio — fake-wood flooring, frosted windows, three lotuses painted on the wall — was muggy and maybe 80 degrees. A blond woman on the mat to my right casually stood on her head as she waited for class to begin. Several of the seven people appeared to be regulars. We went through the poses at a fairly brisk pace. I recognized planks and lunges from my college cross-country practices, but still struggled to keep up. At one point, as we lay on our stomachs, Patti coaxed us into full locust position, instructing us to first raise our legs, then our chests. “Fly!” she commanded with gusto. I flailed with the grace of a beached whale. I left feeling rejuvenated but not sure whether I’ll return. Class No. 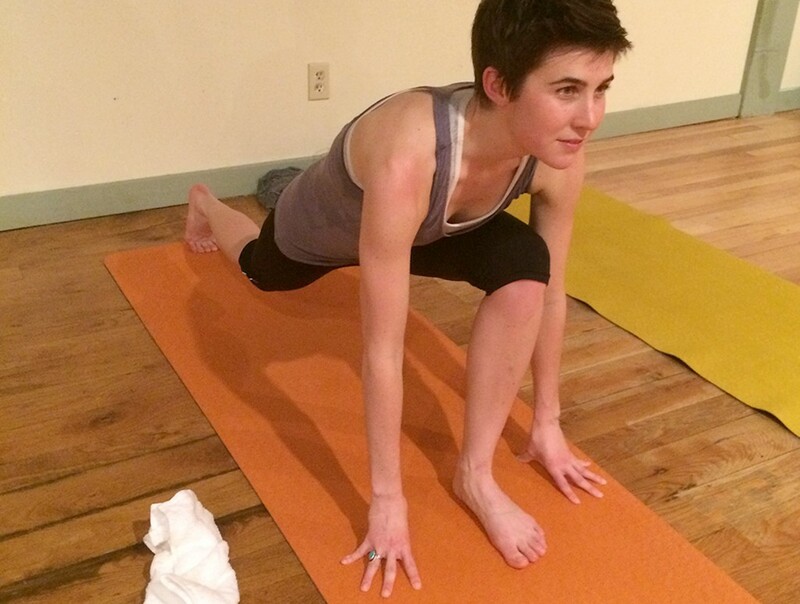 2 was with Jessica at Hot Yoga Burlington in the Old North End. Thirty people sprawled out on mats, spaced roughly two feet part. The temperature was set to 90 degrees, and our bodies would raise it to 95 by the end of the hour. The heat felt liberating. Several women stripped down to their sports bras. People exhaled loudly, hissing like snakes — especially appropriate as we arched our backs into cobra pose. I appreciated the anonymity of the large class, but several times my fingers grazed the toes of the woman in front of me, and vice versa. Early on, my coworker and yoga companion, Corey, accidentally extended a foot into her glass of water. I giggled, thinking, Well, I can’t do worse than that! Most poses were within my reach, and I enjoyed the rapid pace. I knew I was getting a good workout when I collapsed into child’s pose and my outstretched arms began to tremble. I was still probably the worst student in the class, but I can now position myself into tree pose or even a modest warrior without having to steal glances at the people around me. The only downside to the sultry setting was that every time I went into downward dog, my sweaty palms would slide down the mat. On my way out, I asked one of the other instructors for advice on how to cope with this slimy palm syndrome. Without a hint of disgust, she told me to put a towel over my mat and squirt water on it to make it easier to grip. At the end, Jessica passed around plates stacked with damp, orange-scented towels. I stepped outside into a light snow and thought, I’ll be back. Yoga Week runs through February 28. Find out more here.